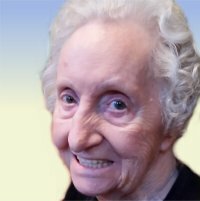 Mildred A. Gravitt, nee Tidwell, 87, of Belleville, Illinois, formerly of Riverdale, GA, was born Sunday, May 10, 1931, in Hapeville, GA, passed away Saturday, January 26, 2019 at Four Fountains Convalescent Center in Belleville, Illinois. Mildred was a homemaker and a School Bus Driver for Coweta County Public School System. She was a member of Ramah Baptist Church in Palmetto, GA, and of Fairburn Chapter O.E.S.